Following up on a sharp black and white Murasaki “Ride Life” edition, Nike SB continues its Dunk Low rollout with a new “Wolf Grey” colorway for its TRD series. This version of the classic silhouette keeps it clean and simple with “Summit White” and “Wolf Grey” hues on a leather and suede upper. A mesh padded tongue gives that signature skateboarding look, white Nike heel embroidery adds a premium touch, and grey laces and outsoles keep the palette in monochrome mode. 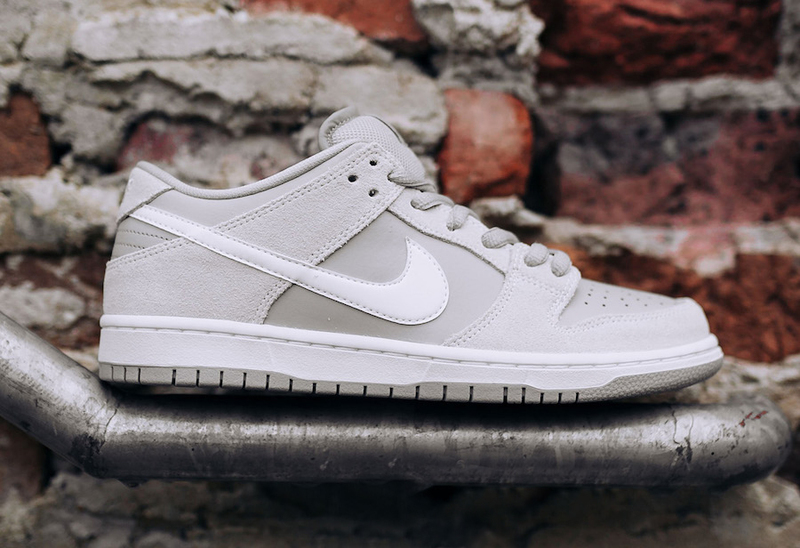 The Nike SB Dunk Low TRD “Wolf Grey” is available now for $90 USD at Rock City Kicks. For more light grey sneakers, check out Nike’s new EXP-X14 colorway.